What a tart! Nata & Co, Cardiff City Centre. 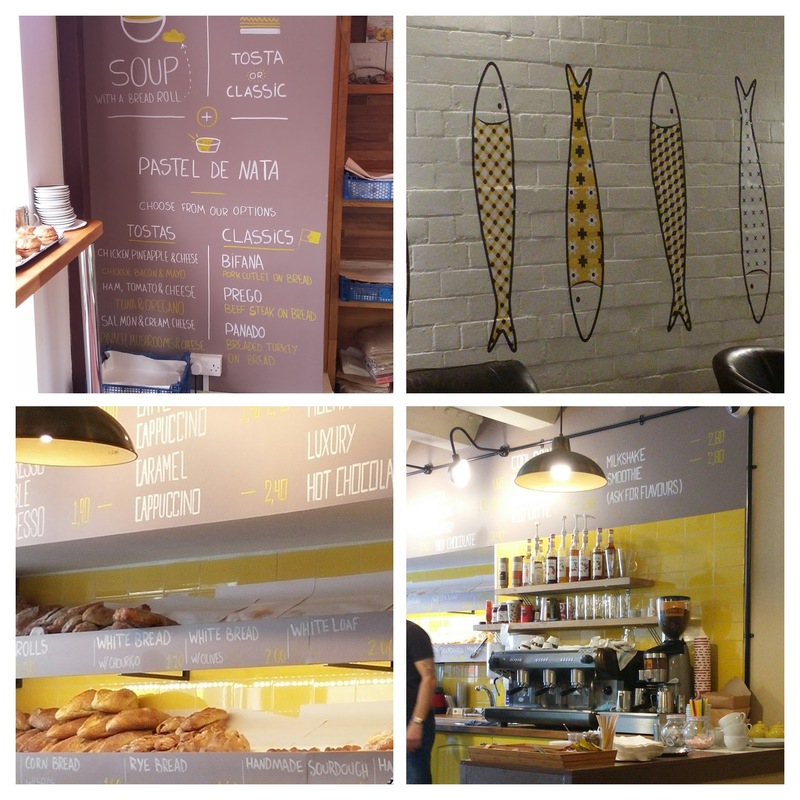 Nata & Co. have been wowing the population of Cardiff, with their lovely breads, cakes and simply wonderful custard tarts (pastel de nata), for quite sometime and have expanded out from their Roath base to outposts in Cardiff Bay and more recently Cardiff City Centre. The Cardiff City Centre unit is in a prime location opposite the Castle (in what use to be Torre Coffee) and rather than operating merely as a bakery shop it also provides snacks (sweet and savoury), lunches and drinks (hot and cold). A Friday lunch time (feeling a tad worse for wear due to a works shindig the night before and thus needing food and a bit of fresh air) provided an ideal opportunity to check out what they had to offer for lunch. Inside they have done a really nice job. 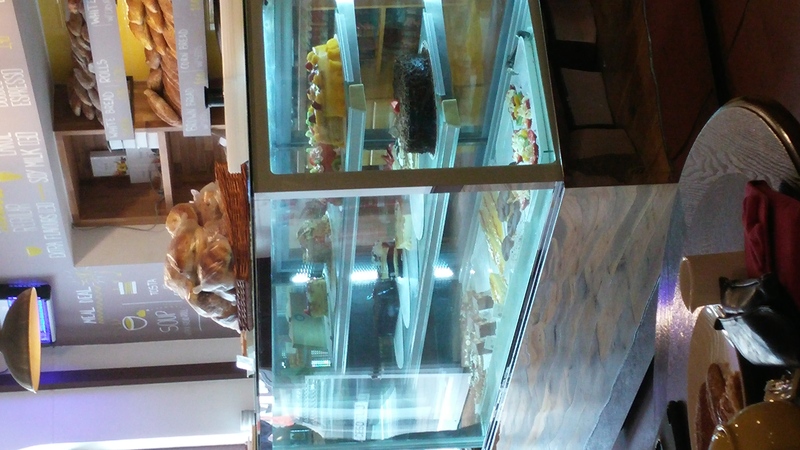 There are counters and shelves groaning with sweet and savoury treats, not forgetting the ability to get you daily bread here (they have a fantastic selection). There is plenty of space for a sit down lunch with a mix of tables and chairs, stools and counters and a sofa. The walls are adorned with references and pictures of the owners beloved Portugal. Makes you want to go (luckily at the time of posting this I am actually in Porto). The design work on the place and the menus etc. were apparently done by Haum and I have to say they have done a cracking job. There is a really nice feel to the place. The lunch time offering is a mix of tostas and classic Portuguese hot sarnies (like the prego), as well as other savouries and, of course, their killer pastel de natas. 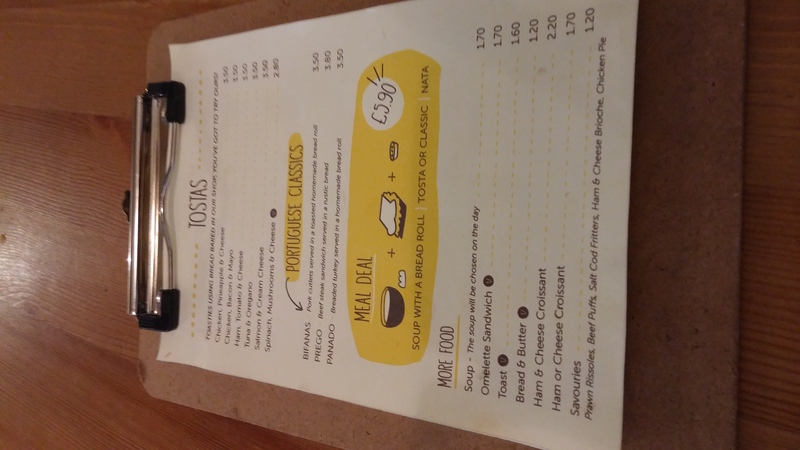 I am always one for a lunch time deal and was, therefore, immediately drawn to the £5.90 offer of soup, a tostas/classic sandwich and a pastel de nata. It sounded excellent value. First up was a very decent sized bowl of soup. Sweet potato (I think) with spinach, it was hearty and was nicely seasoned. It came with a slice of good bread on the side and croutons. From the next course, I went for a prego, a steak sandwich in a nice crunchy on the outside and soft on the inside roll. The steak was a minute steak, but had a good flavour to it and was (unlike the position generally with steak sandwiches, where you bite into the top layer of bread and then after failing to get though the tough piece of steak end up drag it out of the roll, baguette etc it sits in) nice and tender and properly seasoned. 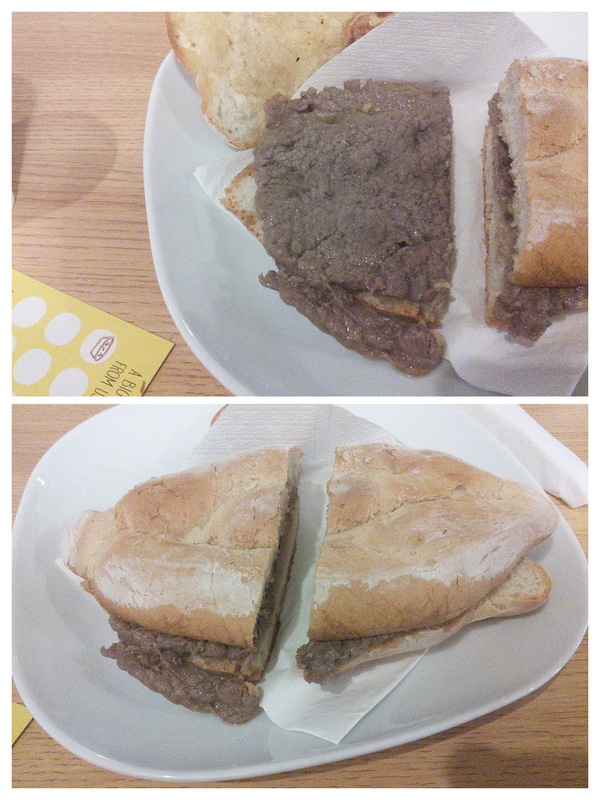 My only slight quibble was the lack of anything other than the steak in the roll. A blob of mustard or some dressed greenery or tomato would have added to what was a very nice sarnie. Maybe them coming unadorned is traditional in Portugal? Having a nose at other tables, it seems the breaded pork cutlet sandwich does come with extras greenery. It looked very nice, as did the various tostas coming out of the kitchen. Next up was, this place’s pièce de résistance, a pastel de nata. 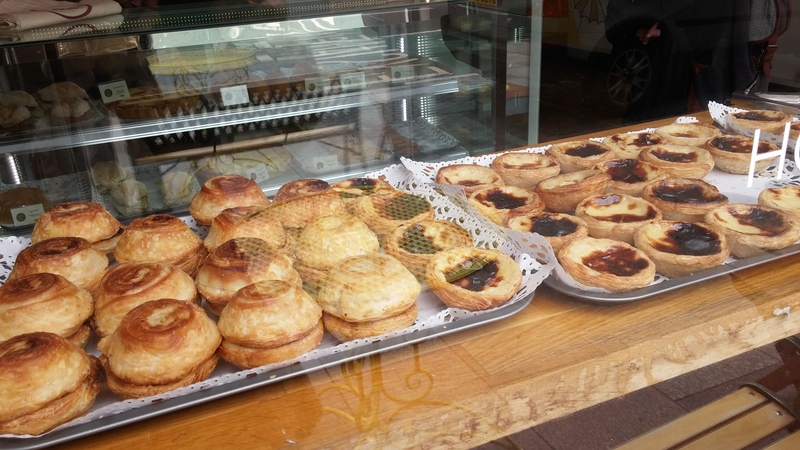 A little piece of Portuguese heaven transported to Cardiff. Crisp multi – layered pastry, that crackles as you bite into it, encasing a rich egg custard with a lovely caramelised top. They have to be one of my all time favourite patisserie products (I am a man of simple tastes). They may not look that pretty or be elaborate in their design and construction, but boy do they taste good and Nata & Co’s rendition ticks all of the boxes for this classic mini custard tart. Other cakes on offer also look pretty good. They have a loyalty card so you can get your 10th £5.90 meal on the house. Nice touch, bearing in mind it is pretty good value already. If you are a regular this gives you an effective 10% discount. 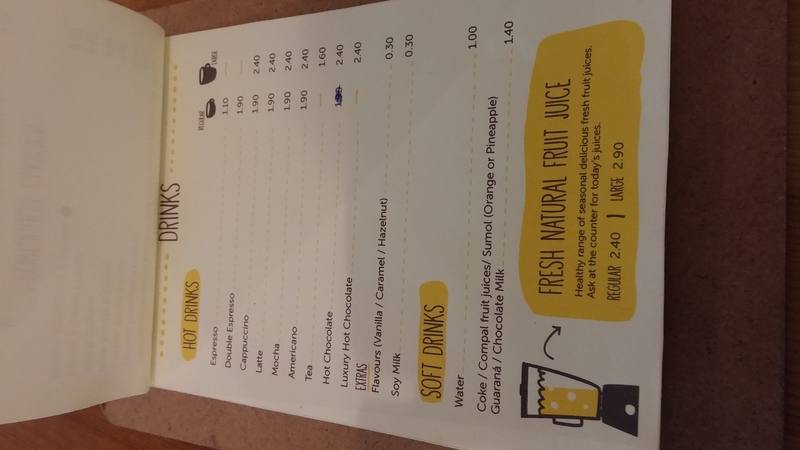 Drinks are split into hot (coffees and hot chocolate) and cold (all soft). I had a very pleasant coffee on my visit. Decent strength to it, although I did ask for a latte so not sure where the chocolate dusting came from. I like the fact they have a jug of water which you can access without having to ask if you don’t want to buy a drink or just want some extra water. 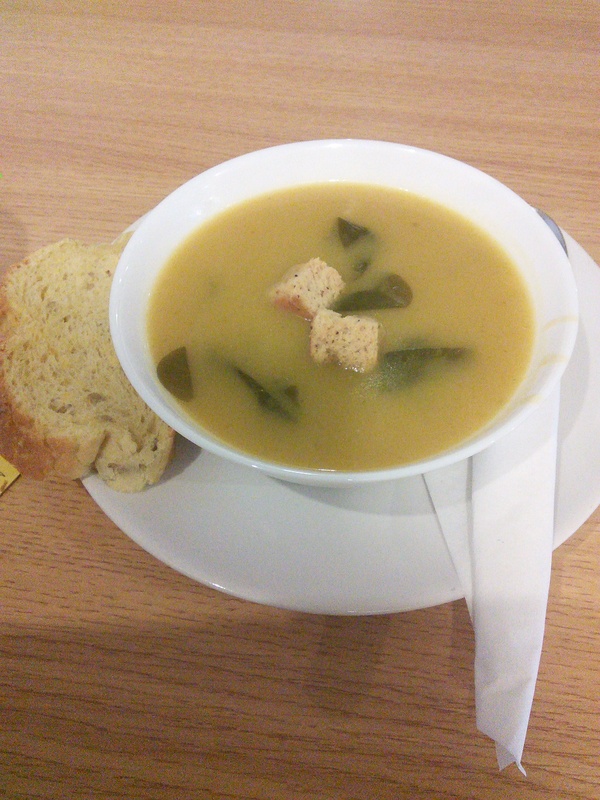 I also liked that they were happy on a subsequent visit to substitute the soup for a coffee as part of the meal deal. 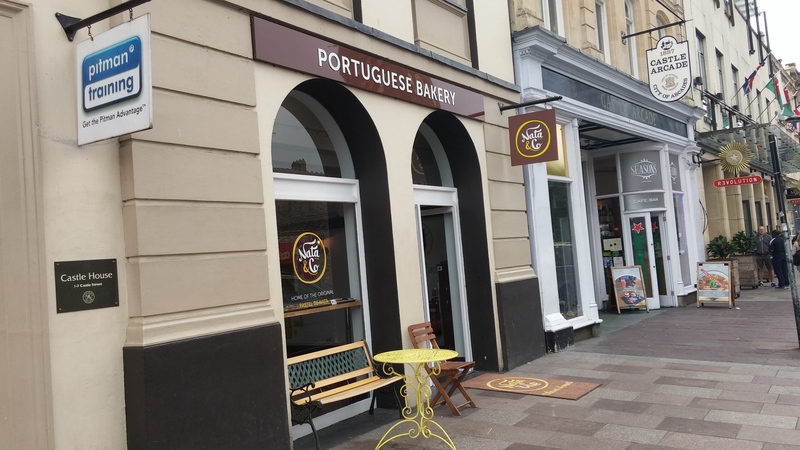 I would love this place if it only sold its stellar pastel de nata, but this lunch time deal also makes it a fabulous option for a cheap lunch in the City centre. Would I go back? 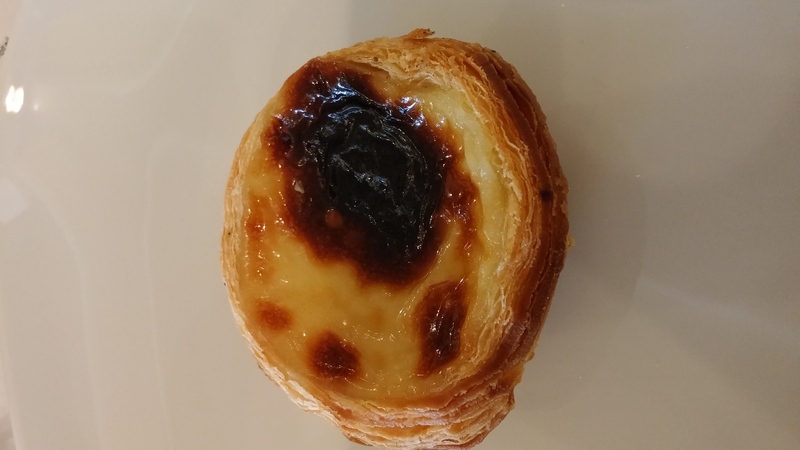 Absolutely – I am addicted to their pastel de nata and rather taken with their £5.90 lunch time offer. The drag up by the Castle, with Nata & co., Gina’s cafe and Seasons Cafe Bar is increasingly looking like a premium spot for a cheap lunch. It is not often that you can use the phrase ” What a tart?” without fear of a slap, but in this case I think I am safe and it is some tart. Website: To access the site click on Nata & Co.
Website seems to be a little out of date, as nothing about the Castle Street branch on it. This is based on the Bay outlet’s opening hours (no details on website at time of writing for the Castle Street one) which I have assumed are replicated for this branch. 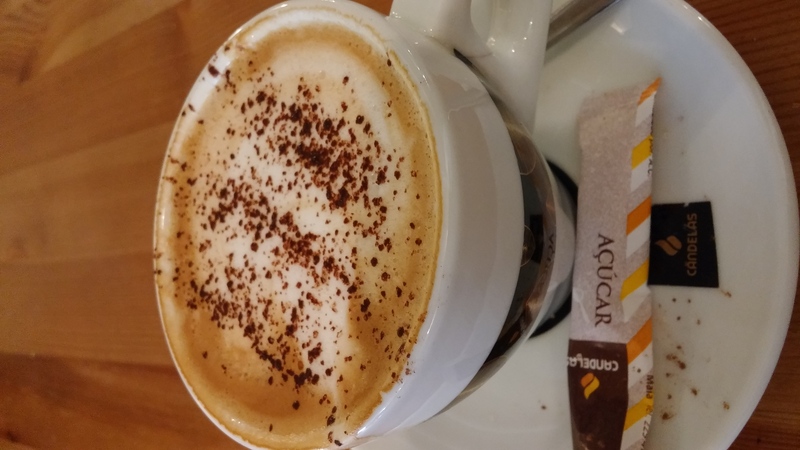 This entry was posted on Jun 12, 2016 by solicitingflavours in Breakfast, Cafe, cake, Cardiff, Cardiff restaurant, coffee, Fixed Price Menu, Food, lunch, lunchtime, Nata &Co, New restaurant Cardiff, Non alcoholic drink, Pastel de Nata, Portugal, Restaurant Review, Sandwich, steak, Wales.